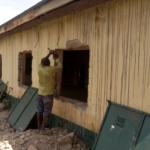 The information gotten by the Follow The Money team during its data mining showed that the total sum of NGN 38,288,052.00 million (USD 125,185.71 est) was appropriated for the construction and rehabilitation of facilities in Nisama primary school, Nisama at Jema’a’a of Kaduna State. The project is financed through the UBEC/SUBEB 2014 annual intervention and the project contractor is Mantankadi Global Ventures Limited. Presently the school has a total number of 422 pupils, to our amazement all they have is two tiny toilets shared by the pupils and teachers. Nisama is a community blessed with abundant economic trees with an estimated population of 6,000 people who are predominantly farmers. 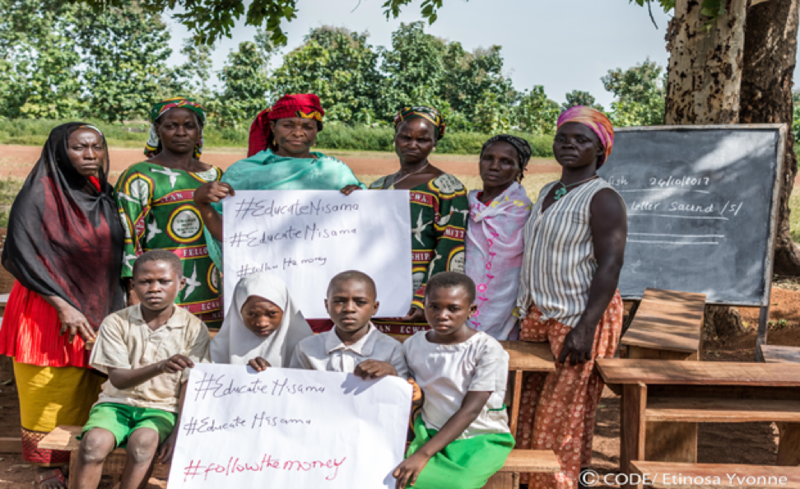 Nisama is located in Jema’a LGA in the Southern part of Kaduna state. 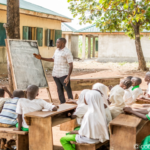 We are starting the #EducateNisama campaign to help track the implementation of the construction of facilities and rehabilitation of existing ones. Thus, all relevant stakeholders should take up this call to ensure the funds are judiciously managed. This is also a call to everyone to support the project to ensure it becomes successful. 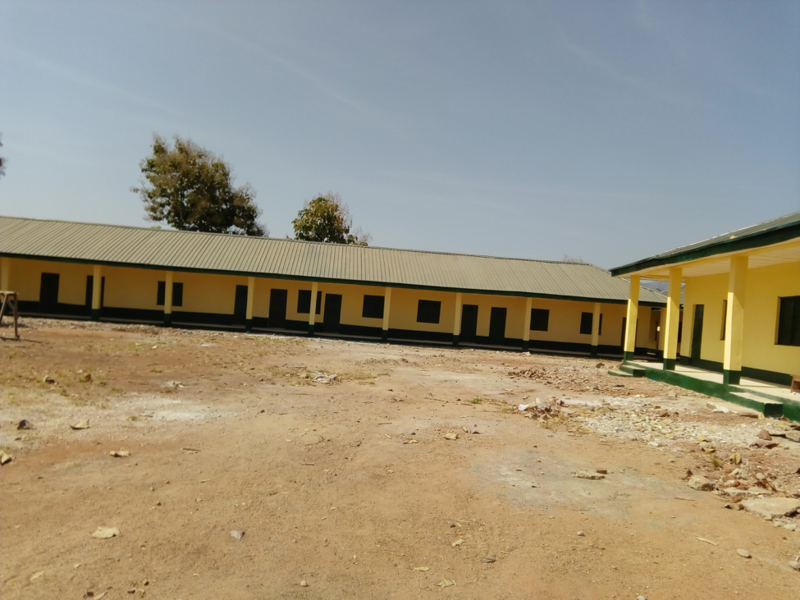 21 February 2018: Upon the reconstruction and completion of classroom blocks, “many parents brought their children to this school, our teachers are seating in very conducive classes and learning is taking place.” From the statistics made available to us, we gathered that the number of pupils has increased from 489 to 600 which have increased the pupils/classroom ratio in the school to 67. “Because of the new fence, truancy has also reduced drastically” Mr Nurudeen admitted in ecstasy. 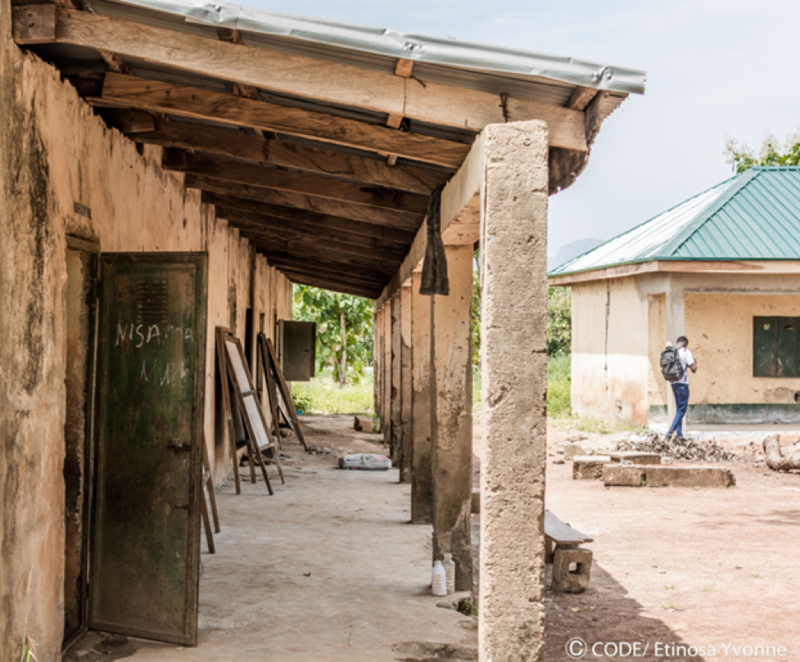 This implies a direct correlation between school enrolment and conducive learning conditions, in the form of new blocks of a classroom. 21 February 2018: The construction of the fence has been completed as both the main and the pedestrian gates have been installed and also painted. This implies an atmosphere of safety and security of properties and ultimately lives. Human security is an inevitable component of development. 21 February 2018: Construction works have been completed on the new toilets as confirmed during an inspection tour around the facility. It is hoped to end the pronounced problem of open defecation and risk of epidemics in the area. 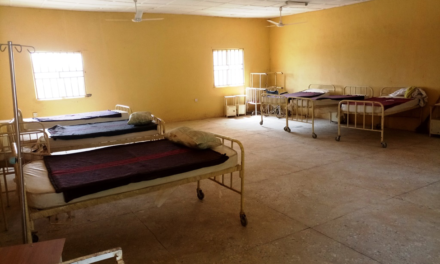 21 February 2018: Rehabilitation work on Block A, B, C, D and E has been completed as the broken floors have been fully replaced with terrazzo; cracked walls filled up; roofs replaced; ceiling works completed, and new windows and doors installed and painted. 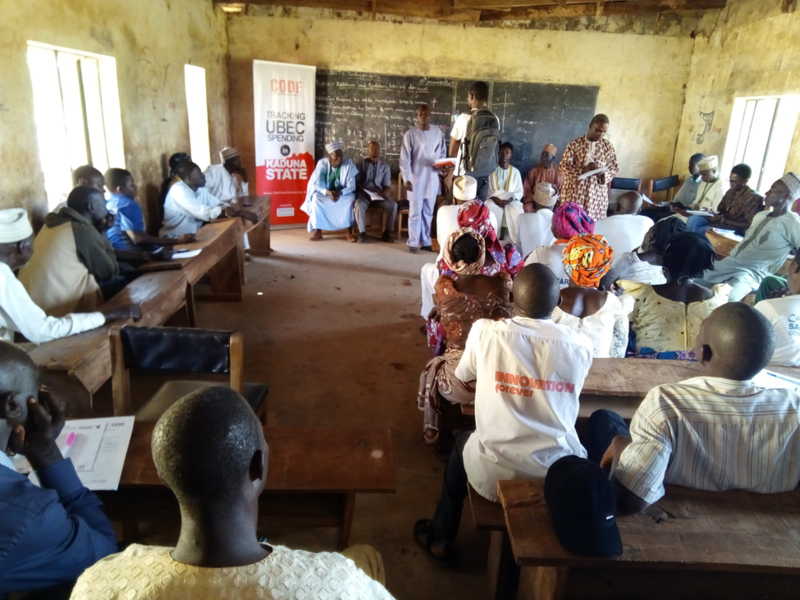 21 February 2018: The FTM team facilitated a follow-up community outreach on #EducateNisama. 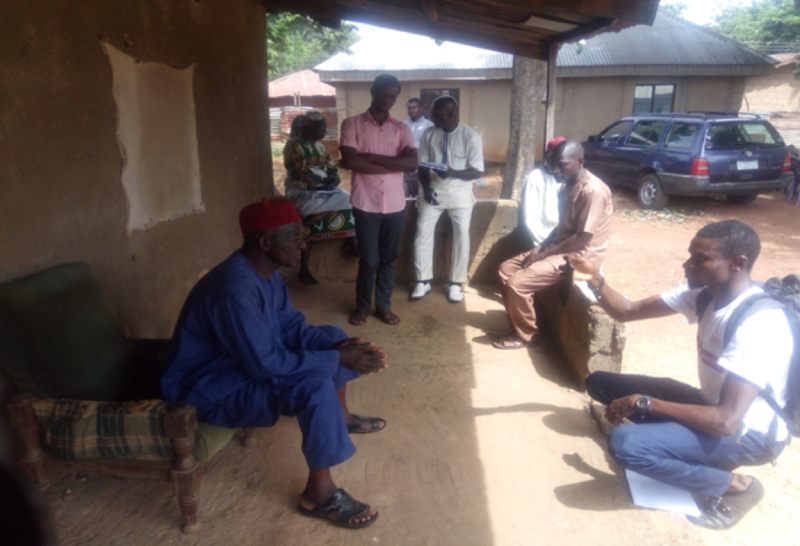 Upon arrival at about 12:00 pm, we met with the SBMC members, the school staff and pupils who lead us around the entire projects (inspection) after which we proceeded to the village square for community engagement. 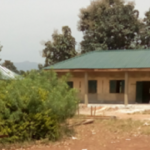 15 November 2017: Leveraging on the mutual relationship existing between the stakeholders and the contractor, the educational secretary of the local government pleaded with the contractor to rehabilitate an extra block of 2 classrooms and an office space that was not included in the Bills of Quantity. Upon persuasion, the contractor obliged and promised to assist in the rehabilitation if he could break-even at the end of the undertaking. 15 November 2017: During the meeting, it was observed that the project implementation started on 27th August 2017 and according to the representative of the contractor, it is expected to be completed by Friday the 17th of November, 2017. 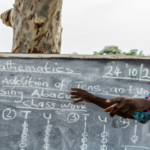 From on-site examinations, there are no major or structural challenges that could disrupt or stall implementation. Contractors and labourers were seen on site. Constructions are receiving finishing touches and painting work. 15 November 2017: On the initial stage of implementation, complaints trailed the quality of work done. Specifically, there were questions about the quality of sand and the strength of the plastering work. 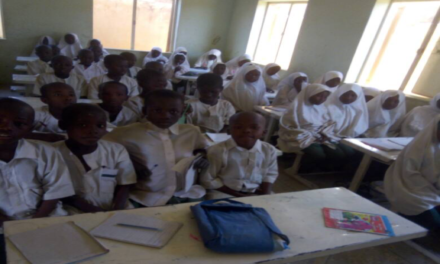 The headmaster, Napoleon Ango and SBMC Secretary of Jama’a LGA, Zubairu Yohanna lodged concerns for correction. These they said were resolved as the contractor took their advice and went to Jakindi to get better quality sand after their intervention. “We don’t have any problem again. The projects are moving smoothly” the Headmaster said. 15 November 2017: During a Town Hall Meeting organised at Nisama Model Primary School; stakeholders and beneficiaries had a dialogue on the project, the town hall meeting had over 100 participants in attendance. The meeting was convened to assemble all relevant stakeholders to discuss the projects for improved service delivery, effective public oversight and strengthen community ownership of projects for sustainability. In addition, it was an opportunity to address any issues as regards implementation of projects. 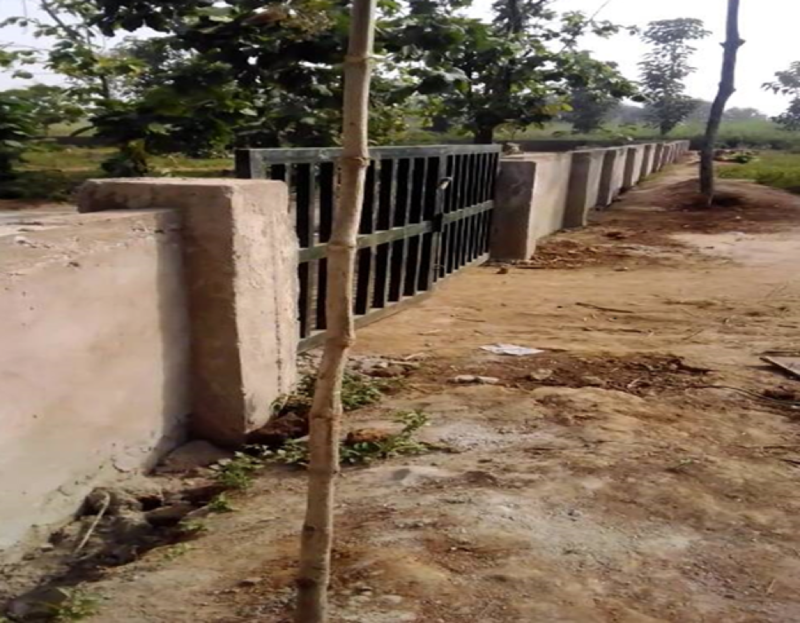 24 October 2017: While rehabilitation work has commenced on some blocks, Block A is yet to receive attention as at the time of community outreach. The building was found in a dilapidated state and in dire need of attention. 24 October 2017: Rehabilitation works on blocks B, C, D and E have commenced. All the roofs of the 4 blocks have been replaced, filling of cracked walls is still ongoing, the ceiling works are still ongoing and fixing of the windows and doors has commenced. Painting of the ceiling in block D has commenced as workers were seen on-site working on all the 4 blocks of classrooms. 24 October 2017: As at the time of the community outreach, construction work is yet to commence on the toilets. 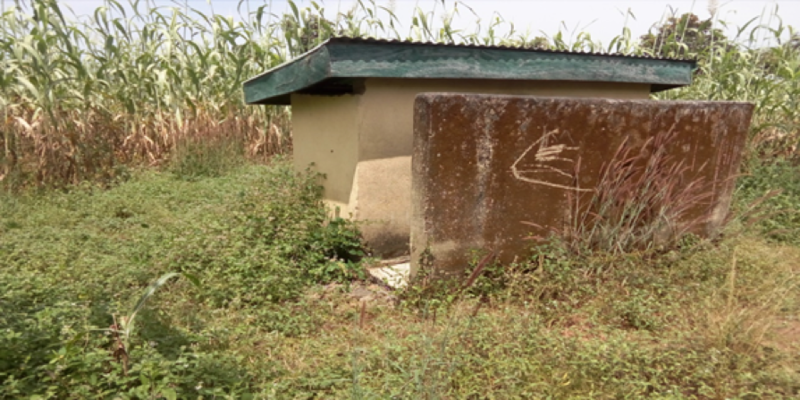 The only existing toilet facility in the school is found abandoned in a horrible state and urgently needs attention. 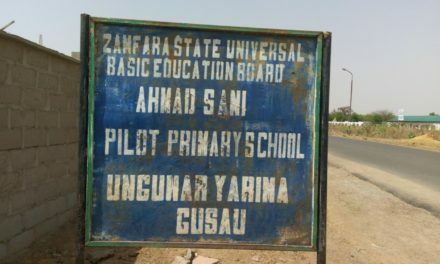 The pupils can no longer make use of it and they are currently defecating and urinating in nearby bushes. 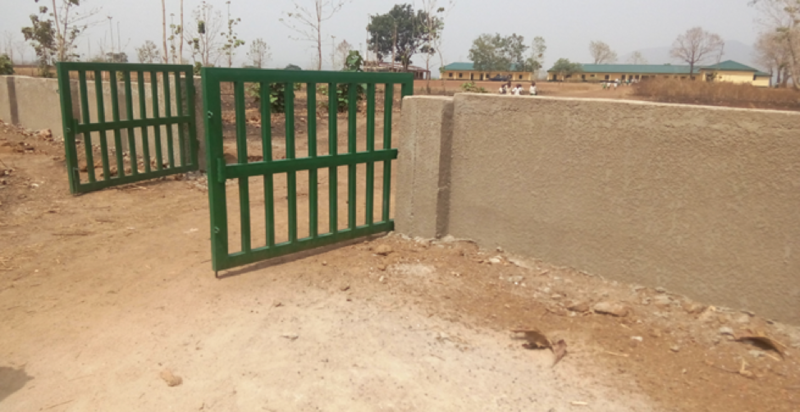 24 October 2017: The block work of the fence has been done around the school with a gate placed at the main entrance of the school. The pedestrian gate is yet to be placed. Plastering of the fence has commenced while the painting of the fence has not commenced. 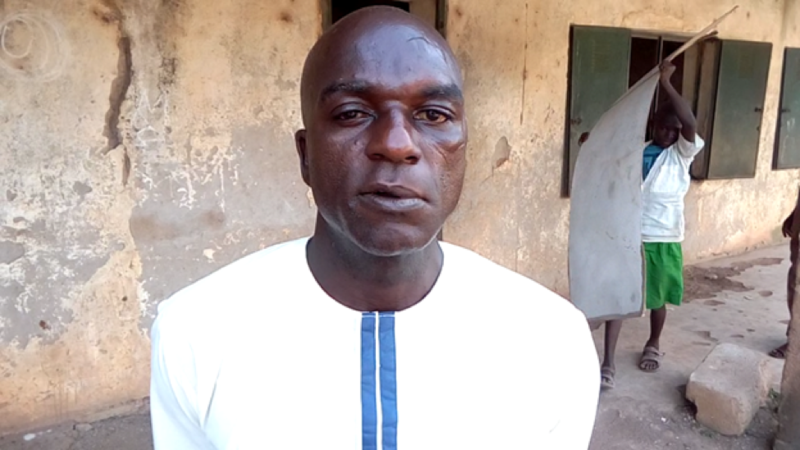 24 October 2017: We spoke to the representative of the Village Head; Mr Isah Galadima who is the Madaki of Nisama and next to the village head, he spoke in Hausa and had this to say concerning the challenges of the school; “The school lacks toilets, potable water, inadequate number of seats, no electricity and lack computers” he also said “I expect that at the end of this project, toilets, electricity, computers, portable water and desk for students will be provided”. 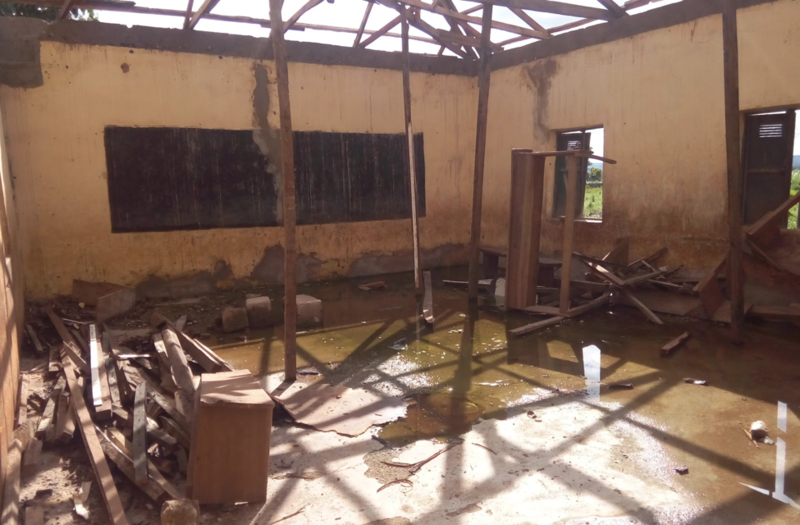 24 October 2017: The headmaster, Mr Napoleon Ango lamented the poor or non-existent learning facilities and conditions, revealing that most pupils learn under trees and their dilapidated block of 3 classrooms. 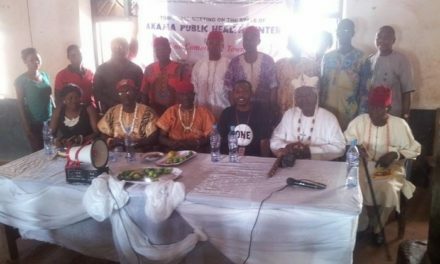 He called on the government for a rapid educational intervention to address their plight. 24 October 2017: Speaking to Mrs Anthony Talatu who doubles as the SBMC treasurer of Nisama Primary school and the Women leader of Nisama community, she said that they expect the school to be upgraded to a standard for effective learning. 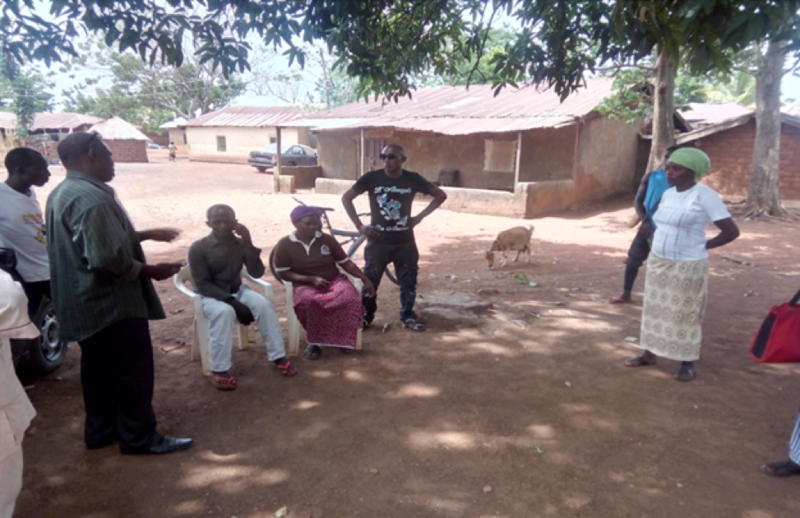 24 October 2017: The youth leader Mr Francis Joshua, a teacher in the school, expressed great interest in the project but requested that the project standard and speed be increased. 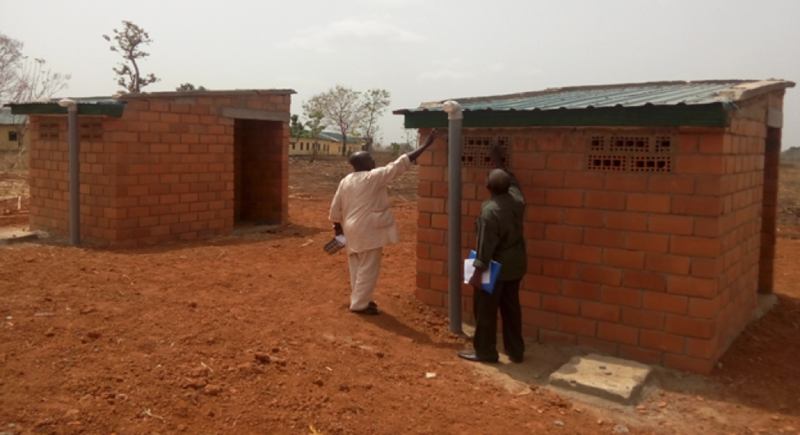 He noted that against hope that the project has progressed sluggishly: for 2 months now since the projected started, visible work is yet to start on the toilets”. 24 October 2017: Interactive sessions with the Kad-SUBEB supervisor reveals little or no knowledge on the projects. The supervisor suggested that the toilet is not a part of the project which is untrue and inaccurate. Contrarily, the toilet is an integral component of the projects. 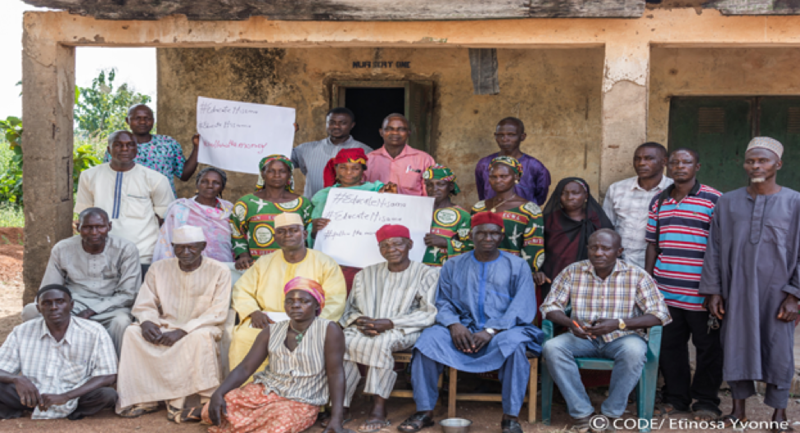 24 October 2017: The outreach ended after the community members present at the outreach took a group photograph and gave their support to the FollowTheMoney movement. They also expressed gratitude to Follow The Money for their collaboration and disposition to work.